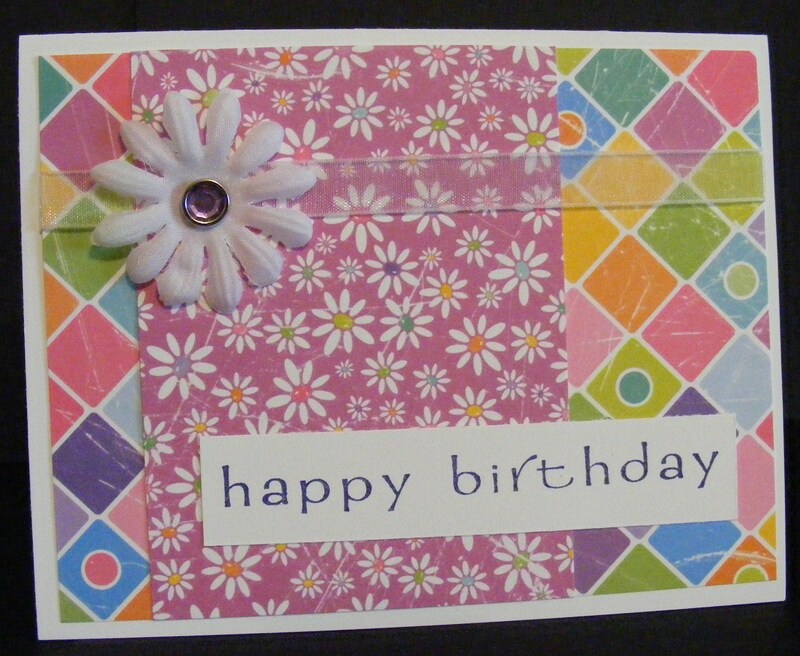 I made this sweet card with The Angel Company’s Cardstock Collection Tutti Frutti. It is one of my favorite collections. Jump into January, in addition to double hostess benefits, is this month’s promotion from The Angel Company. The Tutti Frutti Classic Soar With It Cardstock Collection™ (V-826S) is on sale during the month of January as a “Buy One, Get One Free”! That’s right, 2 for the price of one! This lip-smacking collection has a yummy palette that is perfectly delicious for your Valentine’s Day creations. So double your fun and your paper supplies.. give me a call or email (kandy@kandyskeepsakes.com) your order today. This entry was posted in Cards, Rubber Stamped Items, The Angel Company Promotions and tagged birthday, Card, Daisies, Daisy, Tutti Frutti. Bookmark the permalink.